The objective of Kingfisher's demerger process in 2001 was to allow it to focus on its core out-of-town businesses, and to raise money. So it packaged everything else to be sold or floated. Kruidvat bought Superdrug, but there was no other interest. The remaining non-core firms were stripped of their assets and weighted with debt before emerging as Woolworths Group plc. Most analysts concentrated on the potential of the 780 High Street stores and on the expanding out-of-town Big W off-shoot, ignoring the other businesses completely. Yet these were to have a very strong influence on the future direction of the Group, and indeed its final fate. On this page we take a brief look at each of those concerns, some of which still trade today. During the Woolworths Group demerger of 2001, most eyes focused on the High Street store chain, largely ignoring its siblings. But the Wholesale and Publishing Division was to have a major influence on the direction and fortunes of the newly freed business. 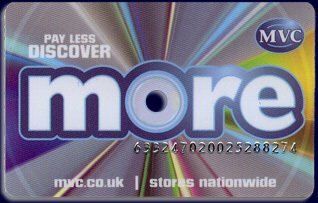 Kingfisher had acquired Woolworths' wholesale supplier Record Merchandisers in 1986 and had rebranded it Entertainment (UK) Ltd. Later it had added Titles Video and the Music and Video Club, and repositioned them as MVC, building the venture to 85 shops. The spree had continued with acquisition of VCI Group plc, the supplier behind the popular 'Video Collection International' range of pre-recorded titles sold in the High Street, and, at the height of the e=commerce boom, Streets On Line, which for a short time had been Britain's most successful e-tailer. The businesses were bundled together to form Woolworths Group plc, which listed on the London Stock Exhange at the half-year in 2001. This page profiles each of them. Kingfisher acquired the rental chain Titles Video and 'The Music and Video Club' in the early 1990s. It later brought the two chains together as MVC, which offered discounts to 2.1m members at 85 stores. The demerger was cruel to MVC. It had traditionally rented space in the quieter corners of shopping centres, obtaining a discount as a specialist, small shop that would add richness and diversity to any mall. Now full market rents would be paid to a third-party which had bought the leasehold interest from Kingfisher. The sale committed the firm to stay in-situ and accept upwards-only rent reviews of at least 2.5% per annum for thirty years from 2001. Its Board was strengthened. The management concluded the barrier could be overcome by signing more members and boosting sales. It launched an innovative loyalty scheme called 'more' which proved very effective. A new business strategy explored options to take the chain forward, with designers preparing drawings of what a new-style MVC might look like, and how it might compete in its best locations. The experts took the stores in London Bridge and Staines, Middlesex to show the new look in virtual reality. Even before rent-rises, MVC had struggled to break even under Kingfisher. As such it was hard to justify major capital expenditure, particularly on premises in secondary locations. Instead a solution was found that seemed a win-win. A private buyer offered a reasonable price to buy the specialist outright. The deal fell through but had whetted the CEO's appetite. He quickly found another bidder who was prepared to take over the leases and to source its merchandise from EUK and its website from Streets On Line. In retrospect this was too good to be true. Just three months after the sale, the purchaser went bust. It had incurred substantial debts, mostly with Woolworths Group, which had to be written off. 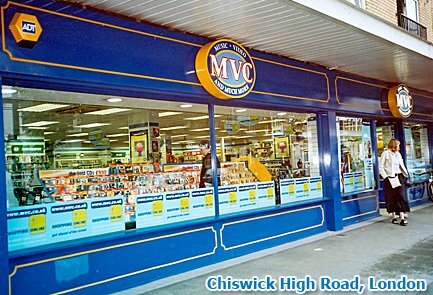 The MVC name vanished from the High Street. The CEO had paid a high price to exit the lease commitments that MVC had been saddled with as part of separating from Kingfisher. Kingfisher acquired the music wholesaler Record Merchandisers Ltd in 1986 to strengthen Woolworths' music presence. 'RM' had been founded in 1966 by EMI Records and had operated from premises adjacent to their main site in Hayes, Middlesex. The firm had been created as an intermediary between non-specialist retailers and the major record labels. 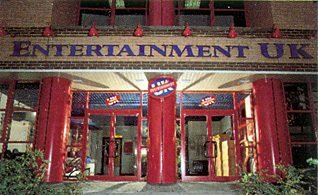 RM was renamed 'Entertainment (UK) Limited' (or 'E.UK') in 1988. Kingfisher nurtured and developed EUK, adding new product ranges, including pre-recorded video, games and some books. 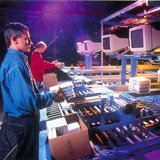 It invested in automation and funded a state-of-the-art fulfilment centre in Greenford, Middlesex. In the late 1990s EUK launched a drive for new customers. They launched a fulfilment service called 'EUK Direct' which could provide the plumbing for retailers to launch Entertainment websites, offering everything from product data and download tracks to pick, pack and despatch for home delivery. Tesco was one of the first to adopt the service. It source both store and home delivered products from EUK as it developed its general merchandise offer. Despite the investment and the dynamic business plan, EUK scarcely got a mention in Kingfisher's Annual Report, appearing under 'other businesses'. 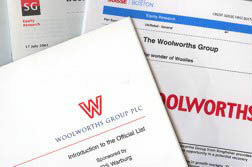 It was given nine short paragraphs in the ninety-five page UBS Warburg document 'Woolworths Group PLC, Introduction to the Official List', which gave investors an overview of business to be formed after the demerger. Under the Chairmanship of Group FD Christopher Rogers, EUK was strengthened after the demerger, with sharper management controls and improved efficiency througout the operation. Lower cost prices were a key requirement to retain the custom of Tesco, an increasingly influential customer. The range was extended with software titles, books and mobile phones. It also developed an electronic data service, EUK Digital. Shortly after Rogers left the Group to become Group Financial Director at Whitbread, Tesco announced that it did not intend to renew the Music and Video service agreement with EUK when it next fell due for review. The supermarket had become a major contributor to the wholesaler's profit as its sales grew. The Group CEO launched a drive for new business. By the time Tesco walked away, he had agreed new contracts to supply Morrisons, Asda, WHSmith and Zavvi / Virgin Megastores. In parallel the Group also purchased its principal rival, Total Home Entertainment for £20.3m, taking on its service contract with Sainsbury's. Collectively the new customers accounted for more volume than Tesco, but on tougher terms. External changes in the market had major consequences for EUK. The failure of MVC, shortly after it was bought out from the Group was endemic of the growing role of the Internet and digital downloads. The surplus EUK capacity was used to extend the back catalogue range in the 100 largest Woolworths stores. The rise of specialist 'e-tailers', unburdened by store premises, coupled with a legal loophole that allowed non EU companies to ship products into the UK without charging VAT, also had to be dealt with. The Group launched WMS Jersey Ltd as a means of competing in the VAT-free market. It also extended Woolworths' selection of budget titles at prices as low as £1, which proved a big hit with shoppers. It exploited the efficiency and throughput capacity of EUK to turn a profit, despite the low selling price. EUK proved high adaptable. It coped with the constant change, adapting and refining the offer to keep up with a turbulent marketplace. The efficiency of the operation was recognised at the European Supply Chain Excellence Awards in 2005, where EUK was crowned the winner in the 'Retail and Distribution Category. It also won 'Best in Merchandising' award at the Global Retail Technology Forum 2005 and 'Best Retail Buying Team' at the MCV Awards in 2006. When Trevor Bish Jones left Woolworths Group in Spring 2008, the CEO was proud that his successor would inherit 'two world class businesses' in EUK and 2|Entertain, as well as ' the conundrum that is Woolies'. Later the same year the wholesaler collapsed into oblivion. It had supplied 440 million units of stock over the previous year. At the collapse much of Woolworths Group's 'debt' had been used to finance the third-party supply contracts. Some believe that it was fears of a collapse at Zavvi that prompted the banks to withdraw their support. 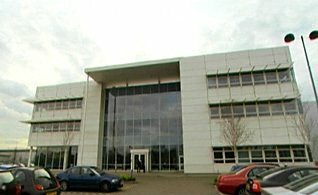 The Administrator, Deloitte LLC, proved unable to sell EUK as a going concern, partly because of the credit crunch, but mainly as a result of market changes as sales of CDs and DVDs collapsed in the first decade of the new millennium. At the turn of the 21st Century, Streets Online was rated as one of Britain's most successful e-tailers. At the height of the web boom of 1998, brokers had proposed a price of £300m for flotation. Two years later Kingfisher had acquired the business for £15.1m in the year 2000. Three years later its website, which had once competed head-to-head with Amazon had vanished and the Streets Online team had been subsumed into woolworths.co.uk. The Streets Online team played a pivotal role in re-establishing Woolworths on the Internet and developing the systems to support the Big Red Book and the chain's award-winning multi-channel retail offer. Despite last trading in 2004, Streets Online continues to feature in web searches. Perhaps one day an entrepreneur will bring back the much-loved marque. 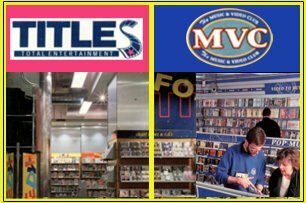 Two businesses survived their brush with Woolworths and continue to prosper; the music and video publishing company VCI Group is now a wholly owned subsidiary of BBC Worldwide's 2|Entertain, while Bertrams Books Ltd is now part of Smiths News. Kingfisher acquired the music and video publisher VCI Group plc in December 1998 for £59.3m. It had already played an important role in the success of the Group. A new range, 'The Video Collection' had taken Woolworths by storm in 1986, and had inspired the High Street chain's market leading position in pre-recorded video, which at one time accounted for ten percent of total turnover. Over the years VCI had grown and diversified, establishing an enviable back catalogue of music titles under the MCI (Music Collection International) label. Much of the content was royalty paid. VCI demerged from Kingfisher as part of Woolworths Group plc in 2001. The new Chairman, Gerald Corbett, cited the VCI products sold in the High Street as an example of the Group at its very best. He told investors that every penny of profit went to one of his operating companies. 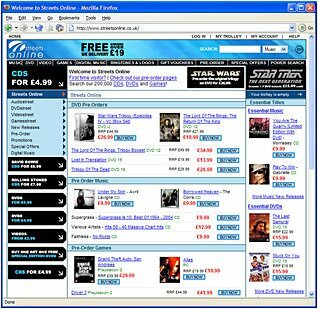 The royalty-paid content and packaging came from MCI, the manufucturing was managed by VCI's DISC subsidiary, and the products were distributed by Entertainment UK, before being sold in Woolworths or MVC. 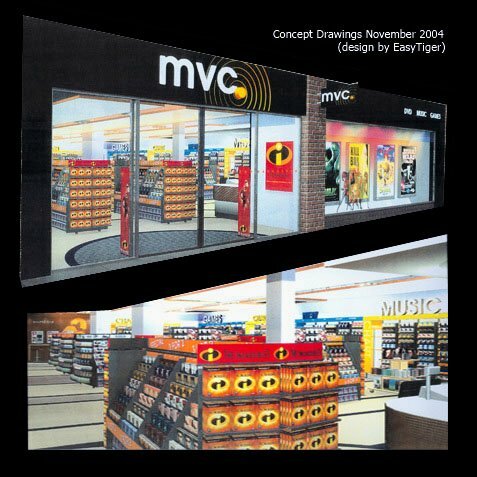 After the demerger, CD's on the Crimson and MCI labels were a regular feature in the stores, along with other less recognisable VCI output like specialist Gallerie CDs, Chad Valley titles and Cinema Club videos under a joint venture agreement. VCI also excelled at creating and marketing compilation CDs of hit songs, drawing on a mixture of licensed material and wholly owned tracks. A video production company, Banana Split, added an extra dimension in making corporate training films and even television commercials. The publishing group enjoyed considerable success with an exclusive contract to market output from Channel Four Television, and also became a market-leading producer of licensed character brand content, including Noddy, Postman Pat and Thomas the Tank Engine. Good planning aligned new releases with the screening of new series on television and promotions of the related toys and clothes at Woolworths. In 2004 investors and analysts responded favourably to news of a new joint venture between VCI Group and BBC Worldwide. FD and Entertainment Chairman Christopher Rogers had brokered a deal to form 2|Entertain Ltd., which would combine the publishing know-how and catalogue of VCI with the output of the world-famous public-service broadcaster. Equity in 2|Entertain was split 60:40 in favour of the BBC. The potent combination of marketing skills and quality programmes made the new venture a big hit. 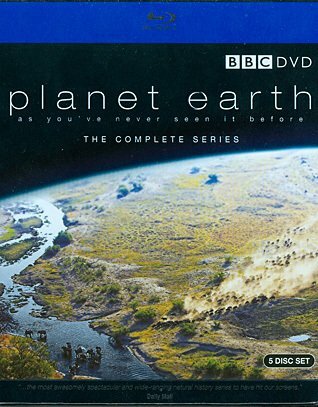 DVDs sold in record numbers, with North America proving a particularly lucrative market, particularly for natural world features like 'Planet Earth' (right). 2|Entertain won a Queen's Award for Export Achievement in 2008 and continued to prosper right up until the demise of Woolworths Group. Such was the success of the joint-venture that some Woolworths investors put pressure on the Group to sell its part interest in 2|Entertain to pay down borrowings and a burgeoning group pension deficit. The Board gave in to the pressure in Spring 2008 and began discussions. Trevor Bish-Jones was tasked with conducting the negotiations as his swansong. The BBC offered £110m, far short of the £300m that pundits had predicted. The outgoing CEO recommended against the sale. A year later, as Woolworths Group was liquidated by its Administrator, Deloitte LLP, the BBC argued that the value was negligible. It ultimately paid just £17m. The Planet Earth packaging illustrated is © Copyright 2|Entertain Limited. All Rights Reserved. Norwich-based Bertrams Books Limited was acquired by Woolworths Group plc for £41.7m in 2007. The firm, which had established an excellent reputation for integrity and professionalism, was one of the country's largest book wholesalers, supplying a number of big name bookstore chains with titles on demand, spanning everything from the latest chart releases to an extensive back catalogue. It is said that the decision to sell out to Woolworths was defensive, driven by a desire to gain the protection of a larger organisation. The Directors believed that this would help the firm to develop and grow, drawing on the expertise of Entertainment UK. When the sale was mooted it was referred to the Monopolies and Mergers Commission, as the authorities were fearful that EUK and Bertrams together would have a stranglehold on UK book supply. The MMC later approved the sale. Fortunately, unlike Total Home Entertainment, Bertrams Books already had borrowing facilities in place that were independent of Woolworths Group's financing, meaning that the firm was able to continue trading through the parent's Administration. The business was subsequently purchased by the highly respected Smiths News for a reported £8.6m, and continues to prosper.